Having missed the grand opening of Rarity for You might have been worse for Coco than any amount of nausea or heartburn. But when her boss shows up to help take care of her, she'll learn that friendship is the best medicine. But in her sickly and woozy state, will Coco also find the strength to confess how she really feels about her employer? And if she did, how would Rarity react? Thanks to ACTASAP for editing this, and Pia-Sama for the cover art! Barbra's finally turning 18, and she struggles to confront Elusive about her true feelings towards him, thankfully she'll have a night with him to try and tell him. Unfortunately , she might be too nervous to tell him. Celestia has been having recurring dreams; dreams that she wishes would go away. But they won't, they only increase in their frequency. One night, she gives in and visits that statue in the royal garden. The statue that haunts her sleep. The statue of her one true love, the statue that she made. That night, under the statue, she remembers the day they first met. Spike tries to write his feelings for Rarity on paper in order to better express himself before Thunderlane steals her away forever. A Hearts and Hooves Day one-shot Sparity. I hope you all have a great H&H Day! What if you had everything taken away from you? Your friends, your love, your life, everything gone in a flash of fire? What if you had a chance to save one of them? Just one of them, would you do it? And if so, how would you choose? These are the questions Rarity must face as she walks into the frozen nightmare of a Hell gone cold and face the consequences of her choice. For when you can only save one, how can you choose? When Cadence starts to act weird and Lyra shows up again in his life, old feelings start to rise and Shining Armour starts to question who he actually loves. Does he still love Cadence? Or will his old feelings for Lyra take over and possibly ruin his marraige? My entry for The Great Shipping Collab! Thanks to Busen for editing, Chain Reaction for the Cover Art, and Garbo802 for organizing this awesome collab! Check out other collab entries here! When Spike is rejected by the love of his life because he is a dragon, he’s willing to do whatever it takes to change that. So when a pony of questionable motives offers to change him into a stallion, Spike is more than willing to shake on it. 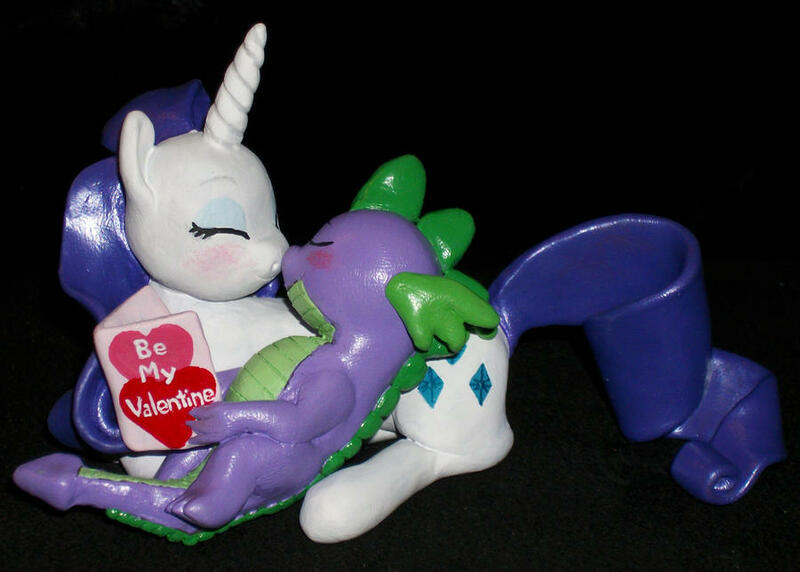 However, there was one small detail that Spike overlooked: He must first find love as a monster; a beast of a dragon, within a year or he will be stuck like this forever… A beautiful Sparity based on the greatest love story ever told, Rarity and Spike learn that what they thought was beauty was only skin deep, and that true beauty lies from within. Be sure to check out the new My Little Disney Group on FimFiction! Cover art by Azenge, an Equestria Daily featured artist and overall great guy, check out his deviant art page. An ancient evil is about to rise from a third alicorn, and our only hope lies in the claws of a young dragon. Will he be able to stop this evil? Or will he die without telling the one he loves how he truly feels.